Communication freshman Desiree Applewhite performs in the New Movement Project’s Fall Dance Concert. More than 200 students signed a petition initiated through NMP to increase the number and variety of dance classes offered. In dancer Vatsala Kumar’s ballet class last quarter, two combinations were taught: one for students who had been dancing their entire lives, and one for students who were taking their first dance class. Acknowledging the disparity of dance experience between the two groups of students, Kumar drafted a petition to increase the number and variety of dance classes offered each quarter to mitigate this problem. More than 200 students signed the petition, which was submitted to School of Communication Dean Barbara O’Keefe last week. Kumar, a Communication senior, said dancers have been having conversations among themselves about this issue for as long as she can remember. The dance community is looking to the administration to provide the dance program with more funds so more classes can be added to the curriculum, she said. Additionally, Kumar said it’s hard for dance and theater majors to fit dance classes into their schedules because they are offered with limited availability. Kumar initiated the petition through New Movement Project, a group of dance majors and minors who work to provide students with elements of the dance experience not regularly provided by the curriculum. 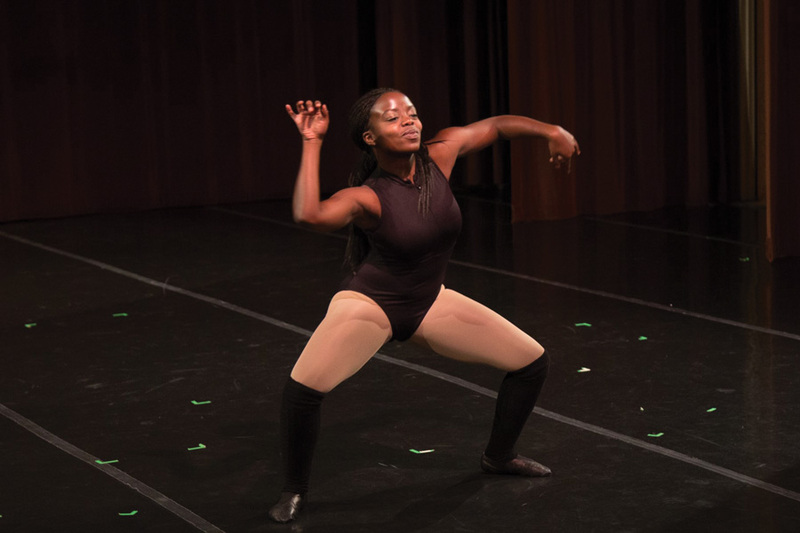 NMP produces an annual fall dance showcase and regularly puts on dance workshops. Adding more classes would help serve the theater community, particularly those who are musical theater certificate students, she said. Under the current curriculum, musical theater students and dance majors are mixed in the same classes. Kumar said with more funds, multiple ballet classes could be offered each quarter so students could register for the appropriate level. That way, musical theater students and dance students, who are of different levels, wouldn’t have to be in the same class, she said. Kumar initiated the petition because the group felt a greater desire to be a larger voice of the dance community, she said. She also wanted to communicate students’ frustrations to the administration. Communication senior Emma Hill said for her, the petition is not about building up the dance program to the same level as a conservatory, but focusing on making dance classes available to everyone. Communication and McCormick sophomore Rachel Hughes, who studies both dance and engineering, said she has heard from several students across campus that they are interested in taking dance classes, but haven’t been able to get into them. Adding more dance classes would make them less crowded and would give students more space to move, she said. Kumar said O’Keefe replied to NMP’s email and said the department would bring up the issue at their summer retreat when they discuss budgeting and changes to make for next year. For now, NMP’s plan is to wait and see what happens over the summer.